We’ve had an exciting weekend here at the Faulk house. The girls spent last week with my parents, having fun and keeping busy… until the very end of the week when Gram got sick. We weren’t concerned until Gram went to the doctor and had it confirmed that she had strep throat and not just your run-of-the-mill summer cold. We literally jumped in the car as soon as we got the call, met the girls in Texas, and whisked them far, far away from the strep virus. The Faulks weren’t going to get sick! Our plan would have worked, but as it turns out, we brought the strep throat to Oklahoma with us. Oh, well. Ana started having a fever on Friday night and has continued on and off ever since. I get anxious about little ones with fevers over one hundred degrees sleeping alone, so even though we’re not a co-sleeping/family bed kind of family, we became one this week. (Well, actually, Wes relocated to the couch, Emma stayed in her room, and Ana got half of a queen-sized bed. Which she’s come to really enjoy and appreciate. Lots of room for a 32 pound girl to stretch out, dontcha know.) I’d fall asleep with a cool little missy asleep next to me and wake up with feet and hands of fire on my face. I’m not sure why she felt the need to put all appendages on me while fast asleep, but it helped to wake me up and re-medicate her. Apart from a few vomiting episodes (one of which happened right outside the church sanctuary — Mommy was sprinting her out of there as fast as possible! ), there haven’t been any other symptoms. I was denying the obvious truth, hoping against hope that this wasn’t strep. My deluding myself worked so well that I wasn’t totally sure I was going to take her to the doctor today, until I checked her temperature and found that it had jumped from 98.6 to 102 in just thirty minutes. Ugh. Anyway, we’re still waiting to hear what mystery illness Wes caught over the weekend. Ha! I told him that he could probably just walk in and tell the doctor what’s going on at home, and he’ll likely write a prescription without even looking at his throat. In this case, it’s just that easy to figure out. 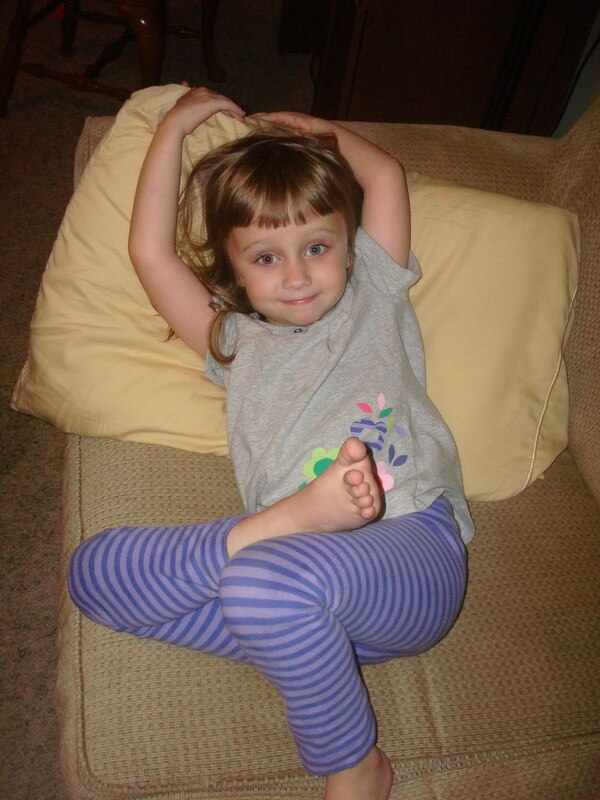 When Wes was Ana's age, vomiting was always the first sign that strep had come to visit. Sometimes it was the ONLY sign, besides fever. I still remember taking him to our trusted pediatrician, telling him that Wes had strep; Dr. Toy looked at it and said his throat wasn't even inflamed, but he'd go ahead and culture. The throat culture came up HIGHLY positive…Hope you and Emma steer clear of the strep monster.